There are just 11 thermal power plants with individual installed capacity of 5GW or more around the world. Eight of them are in China, Japan and Taiwan. Power-technology.com profiles the biggest thermal power plants in the world, based on installed capacity. The 5,780MW Taichung plant is the biggest thermal power station in the world. Image courtesy of Chongkian. Shoaiba oil-fired power plant in Saudi Arabia is the second biggest thermal power plant in the world. Surgut-2 gas-fired power plant in Russia is the world's third biggest thermal power facility. Bełchatów in Poland is the biggest coal-fired power plant in Europe. The 5,204MW Kashima oil and gas-fired power plant is located in Japan. TEPCO's LNG-based 5,040MW Futtsu power station is located in Chiba, Japan. Waigaoqiao coal-fired power plant in Inner Mongolia, China, has an installed capacity of 5,000MW. Photo: Siemens press picture. Jiaxing coal-based power station in the Zhejiang Province of China is also a 5,000MW power facility. Taichung power plant in Longjing, Taichung, Taiwan, is the world’s biggest thermal power station. 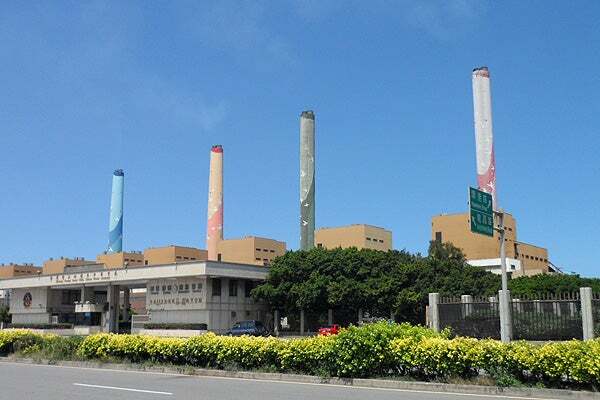 It is a coal fired power station with an installed capacity of 5,788MW owned and is operated by the state-owned Taiwan Power Company (Taipower). The plant, consisting of 10 550MW coal-fired steam turbines and four 72MW gas turbines, began operations in 1992 with the commissioning of four 550MW units. Four more units were installed between 1996 and 1997. Two additional 550MW units were commissioned in 2005-2006 and four 72MW gas turbines have also been added. The coal-fired steam turbines were supplied by GE and Toshiba, and 70% of the coal used by the plant is sourced from Australia, United States, South Africa and Indonesia under long-term contracts, while the remaining is bought in the spot market. Taipower plans to commission two additional 800MW coal-based generating units at the Taichung power plant by 2021. Shoaiba oil-fired power facility located on the Red Sea coast, around 100km south of Jeddah in Saudi Arabia, is currently the second biggest thermal power plant in the world. The 5,600MW power station is also the biggest in the Middle East. The Shoaiba power facility is owned and operated by Saudi Electricity Company (SEC). The power station has 14 generating units of 400MW capacity each and was developed in three phases. Construction began in 1998 and the first phase with three generating units was commissioned in 2003. The second and third phases were completed in 2007 and 2012 respectively. A consortium led by ABB executed phase one, and an Alstom-led consortium executed the next two phases on a turnkey basis. The oil for the power plant is supplied by state-owned oil company Saudi Aramco, while water required for the operations is supplied from a nearby water desalination facility. Surgut-2 power plant, also known as the Surgutskaya GRES-2, in West-Sibiria, Russia, ranks as the third biggest thermal power plant in the world. The gas-fired power plant has an installed capacity of 5,597.1MW and is owned and operated by the Russian power generation company E.ON Russia. Surgut-2 consists of six 800MW units commissioned between 1985 and 1988, and two advanced gas-fired combined cycle units with a combined capacity of 797.1MW commissioned in July 2011. The latest units added to the power station are based on GE 9FA gas turbines and have an efficiency rate of 55.9%. Associated petroleum gas (70%) and natural gas (30%) are used as fuels for the power generation. The power station generated approximately 40 billion kWh of electricity in 2012. E.ON Russia contracted Emerson Process Management for implementing automated process control system at the third generating unit of the plant in September 2011. China’s biggest coal-fired power station Tuoketuo is also the world’s fourth biggest thermal power plant, with a massive gross installed capacity of 5,400MW. The plant is located in Togtoh County, Hohhot, Inner Mongolia, and is owned and operated by Tuoketuo Power Company, a joint venture of Datang Power (60%), Beijing Power (25%) and Huaneng Thermal Power (15%). Tuoketuo power station consists of eight 600MW generating units commissioned between 2003 and 2006, and two additional 300MW units. Coal for the plant is supplied from the Junggar Coalfield located 50km away, while water is supplied from the Yellow River 12km away. Tuoketuo Power Company plans to expand the Tuoketup power station’s installed capacity up to 6,000MW, to make it the biggest thermal power plant in the world. Belchatów power station located at Belchatów in the lódz province of Poland is the fifth biggest thermal power plant in the world and the biggest coal-fired power plant in Europe. The 5,354MW thermal power station is owned and operated by PGE Elektrownia Belchatow, a subsidiary of Polska Grupa Energetyczna. Belchatów power plant has been operational since 1988 and originally consisted of 12 generating units with a rated capacity of 360MW each. A modernisation programme that was started in 1997 added 120MW, while a further expansion in 2011 added an 858MW supercritical unit to the plant. Alstom was awarded the engineering, procurement, construction and commissioning contract for the plant expansion. Alstom was also awarded a contract to retrofit six units of the power station in 2012, followed by an additional retrofit contract awarded for one more unit in 2013. The power station’s capacity is expected to reach 5,474MW in 2015 following the completion of the ongoing modernisation programme. The Kashima Power Station located on Japanese coast, about 50 miles north-east of Tokyo, is an oil and gas-fired thermal power station with 5,204MW of installed capacity, making it the sixth biggest thermal power plant in the world. The power station, owned and operated by Taiwan Electric Power Company (TEPCO), was built between 1971 and 1975. The power station originally consisted of two 1,000MW turbines and four 600MW turbines supplied by Hitachi, Mitsubishi, Toshiba and GE. The 2011 tsunami disabled four generators at the plant; but the affected units were brought back to operation within two months. Three 268MW gas turbines were installed subsequently at the plant that commenced operations in 2012. Kashima Power Station was earlier a back-up power plant for TEPCO and has been operating stably even after the Tsunami that destroyed the Fukushima Nuclear power plant. The newly installed combined cycle gas turbine units at the Kashima plant are scheduled to begin operations in 2014. The 5,040MW Futtsu LNG-based thermal power station in Chiba, Japan, is currently the seventh biggest thermal power plant in the world. The power station, owned and operated by TEPCO, consists of four combined cycle power plants commissioned between 1985 and 2010. The first two Futtsu power plants consist of 14 combined cycle units of 165MW capacity each. Combined-cycle turbine units Futtsu-1 and Futtsu-2 are based on GE’s 9E gas turbines, whereas Futtsu-3 and Futtsu-4 are two advanced combined cycle plants with 1,520MW of capacity each. GE provided four 109FA+e combined cycle systems for Futtsu-3 and three 109H systems for Futtsu-4. The first unit of the Futtsu-4 combined cycle power plant based on GE’s 9H gas turbine commenced operations in 2008, and the next two units were commissioned in 2009 and 2010. Fuel for the power station is supplied via an underwater pipeline from the nearby Futtsu LNG terminal which has the capacity to handle nine million tonnes of LNG per annum. Waigaoqiao Power Station located in the Pudong New Area of Shanghai, China, has an installed capacity of 5,000MW. It is one of the four 5,000MW Chinese coal power plants ranking as one of biggest thermal power plants in the world. Waigaoqiao coal-fired power plant is owned and operated by Shanghai Electric Power Company, a subsidiary of the state-run China Power Investment Corporation (CPIC). The power station consists of four 300MW sub-critical, two 900MW super critical and two 1,000MW ultra supercritical generating units commissioned in three phases between 1994 and 2008. The supercritical boilers and the turbines/generators for the second phase of the project were supplied by Alstom and Siemens respectively. The ultra supercritical boilers and the turbines / generators for the third phase were manufactured and supplied by Shanghai Electric under license of Alstom and Siemens. Coal for the Waigaoqiao power station is sourced from the Shenfu Dongshen coal field located in Inner Mongolia. The power station uses water from the nearby Yangtze River. The power output of the plant is fed into the East China power grid via two 500kV transmission lines. Guodian Beilun power station is located in the Beilun District of Ningbo City in Zhejiang Province, China. It is a coal-fired power plant with an installed capacity of 5,000MW owned and operated by Guodian Zhejiang Beilun Power Generation Company, a subsidiary of the state-owned China Guodian Corporation. Guodian Beilun power station consists of five 600MW subcritical units and two 1,000MW ultra-supercritical generating units developed in three phases. The Phases 1 and 2 with 1,200MW and 1,800MW capacities respectively were completed in 1996 and 2000. The Phase-3 consisting of two 1,000MW ultra-supercritical units was started in 2006 and completed in 2009. The power station’s designed annual generation capacity is about 27.5 billion kWh. The power generated is fed into the East China Power Grid via two 500KV transmission lines. Guohua Taishan power plant located in Tongguwan, 50km away from the Taishan City in the Guangdong Province, China, is a coal-fired power plant with 5,000MW installed capacity. The power plant is operated by Guangdong Guohua Yuedian Taishan Power Company and uses bituminous coal as fuel. Guohua Taishan consists of seven generating units commissioned between 2003 and 2011. The first five units, commissioned between 2003 and 2006, are subcritical units with 600MW capacity each. The turbines, boilers, and generators for these units were provided by Shanghai Electric. Guangdong Electric Power Design Institute (GEDI) and the Tianjin Electric Power Construction (TEPC) were the engineering, procurement and construction (EPC) contractors for the thermal power project. The plant was expanded with additional 2,000MW installed capacity in November 2011 following the commissioning of two 1,000MW supercritical generating units. Jiaxing power plant located 41km away from Jiaxing City in the Zhejiang Province of China is also a 5,000MW coal-based power station operational since 1995. The state-owned thermal power plant is operated by Zhejiang Jiaxing Power Generation Company. The plant consists of two 300MW subcritical units, four 600MW supercritical units, and two 1,000MW ultra-supercritical generating units. The first two 300MW units were commissioned in 1995, the next four 600MW units in 2004-2005, and the 1,000MW units in 2011 as part of the third phase expansion of the power station. Dongfang China supplied the boilers, turbines and generators for all the 600MW units, while the ultra-supercritical boilers for the 1,000MW units were manufactured by Harbin. The turbines and generators for these new generating units were supplied by Shanghai Electric. The power output of the plant is fed into the East China Power Grid via 500kV transmission lines. Nanopower: the future of emissions reduction? University of Adelaide researchers have developed a new nanomaterial that could reduce carbon dioxide emissions from power stations much more cheaply than current techniques. Philippines is home to three of the 10 biggest geothermal power plant installations in the world, followed by the US and Indonesia with two each, and Italy, Mexico and Iceland with one each.